Nobody wants to lose their independence, especially when it comes to living at home on your own. That said, certain disabilities, injuries, or decreased mobility due to aging, can make living at home more difficult. Fortunately you can take steps to make your home safer and more suitable for independent living. Living at home is not a safe option for everyone, but for many it’s possible with some extra preparation and support. We’ve compiled some skills and tips for those seeking to live independently, and safely, at home. 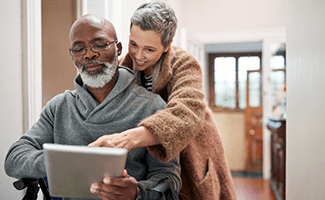 If you live on your own and have health risks or mobility issues, a medical alert system offers a reliable way to remotely monitor your wellbeing. Modern medical alert devices are designed to be noninvasive for those wearing them, so you don’t need to worry about them getting in the way of day-to-day activities. At the same time, they can give you a greater sense of confidence to lead an active life on your own. Maintaining your social life is vital—especially if you’re living at home but can’t easily leave the house. Limited mobility, a lack of transportation options, or certain injuries can make it difficult to engage with the outside world. There are a number of things you can do to prevent isolation. Try coordinating with friends, family, neighbors, or anyone who is willing to stop by and spend meaningful time with you at home. And don’t be afraid to ask friends or family members for rides if you want to get involved with local book clubs or other social groups. 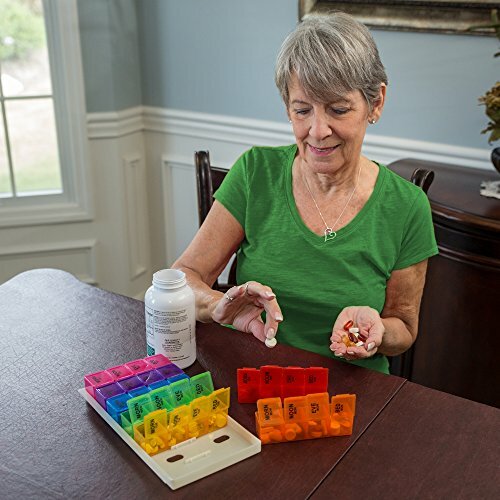 Keep all your medications in one place. Set alarms and reminders so you don’t miss any medications. Double-check medication instructions, like whether or not you should take certain meds with food. Prepare for any potential side effects you might encounter. Use mail-order pharmacies for automatic prescription refills. Home automation might take some getting used to, but it can making living independently at home easier. Integrate smart thermostats, lightbulbs, and other devices with your home automation system so you can control these elements of the home from one place. Especially if you have mobility issues, it’s important to minimize unnecessary walking however possible. Home automation technology also gives you the ability to organize your day-to-day life by setting medication reminders, reminding you of upcoming events, and giving you an easy means to keep in touch with family members or loved ones. While medical alert systems are helpful when falls occur, the goal is to prevent them altogether. Below are some quick tips to help prevent falls in the home. For more in-depth information, take a look at our article on preventing falls in the home. Ensure the lighting is sound throughout the house, especially around stairs. Declutter the floors and remove loose mats and rugs. Invest in comfortable, supportive shoes that offer sound traction, or nonslip socks. Install grab bars and nonslip mats in the bathroom. Maintaining your independence might take extra work, preparation, and some outside help, but doing it can be an empowering decision. With the right amount of planning, you can make living at home a safe and rewarding experience.